No one wants to be the parent with the red-faced toddler screaming and crying at the grocery checkout because he can’t have Gummi Bears. But when parents attempt to calm kids down, they often get it wrong, according to experts. Here are the most common mistakes parents make — and what works instead. Tantrum Tamer: Show you understand. If your child goes ballistic when the baby sitter arrives, say something like: “It doesn’t seem fair that you can’t go out to dinner with Mommy and Daddy tonight.” But don’t add an explanation; that will make things worse. Expecting a young child to understand is unrealistic because … he won’t. If your child frequently has a meltdown when you two spend the entire morning running from store to store doing errands, adjust your schedule accordingly. Not playing to your child’s tantrums helps restore calm — for both of you. Nancy Mattia specializes in parenting, elder care, and weddings. Her blog is SomethingNewNancy.WordPress.com. We parents need all th help we can get! Good stuff. I wrote about it recently on my blog. http://www.parentsfirst.biz need a guest post? Contact me. Glad you found these tips helpful. 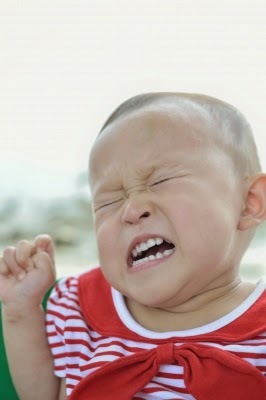 My kids used to throw tantrums a lot when they were little. Thanks for stopping by, Colette. Have a great week!